People ask me all the time, what is it exactly that farmers do during the long, dark, cold winter days. And to be honest the answers vary. We knit, we read, we sew, we play music, we cook, we surf the web, we socialize, we nap, we relax, most of the things normal people do on a daily basis. The things we don’t have time to do when we are working 14 hours a day, 7 days a week during the farming season. We also do a lot of arguably unpleasant things too, including taxes, data entry and generally trying to make sense of the whirlwind that was the last season. And once we have had a chance to catch our breath we begin planning for the next season. 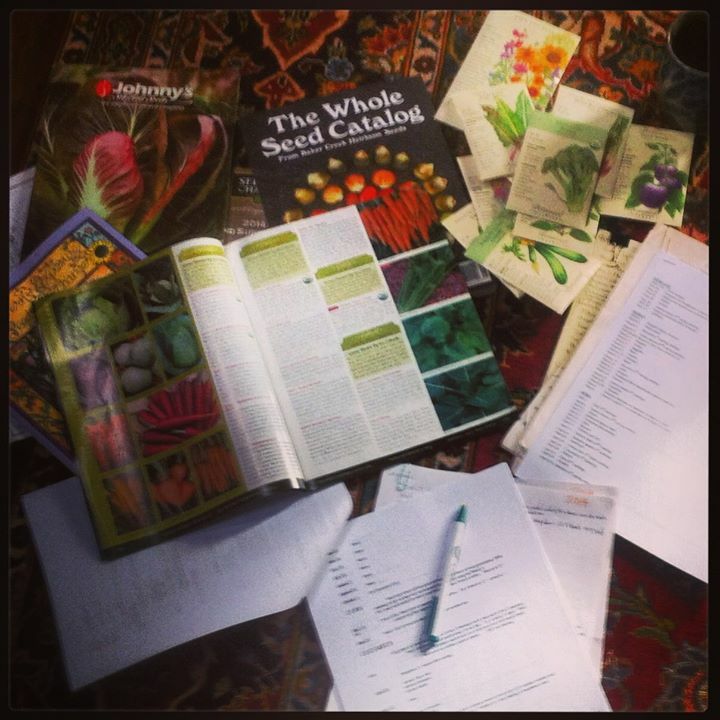 Seed orders, planting schedules and dreaming. When we are trapped inside because outside there is a polar vortex and 2 feet of snow, we dream. We dream and hope. We dream of the wonders the next farming season will bring. We dream of 7 foot tall pea vines. We dream of germinated carrots and big fat brussel sprouts. We dream of the smell of the warm soil and the feel of the sun on our backs. We dream of that bite of the first ripe tomato, warm from the sun, juices running down our faces. We dream of butterflies on zinnias. Very soon we will start seeds in the greenhouse, and we will breathe a sigh of relief because spring will soon be here and we will be able to be back doing what we love. Being out side, growing food, all of us worshiping Mother Earth in our own way. We will throw ourselves in to our work with a renewed passion after our long rest. 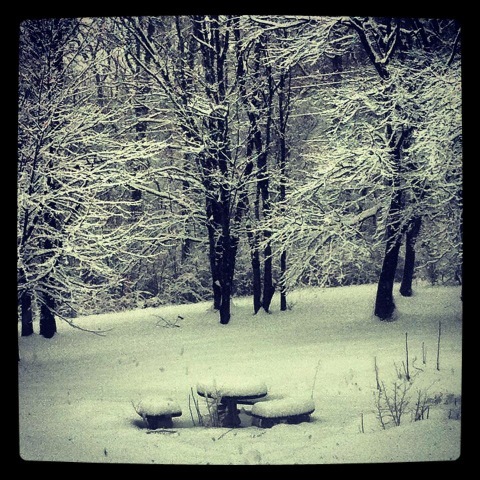 For me, winter is hard, particularly February, particularly this February, but as it comes to a close this year, I am reluctantly thankful for the down time, and I can’t wait to get started.